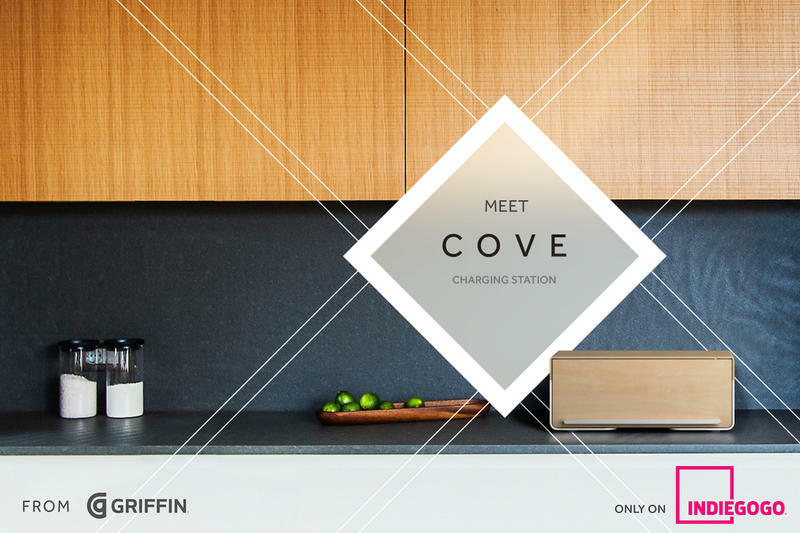 Griffin Technology on Tuesday launched a sleek new charging station on Indiegogo. 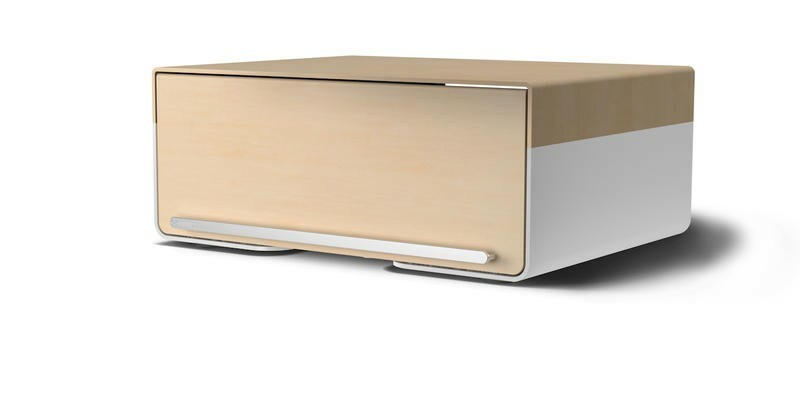 It boasts five 12 watt USB ports and 5 non-scratch, non-slip storage pods. The Cove uses a UL-certified Charge Sensor circuit that senses what power is needed to deliver the correct charge. 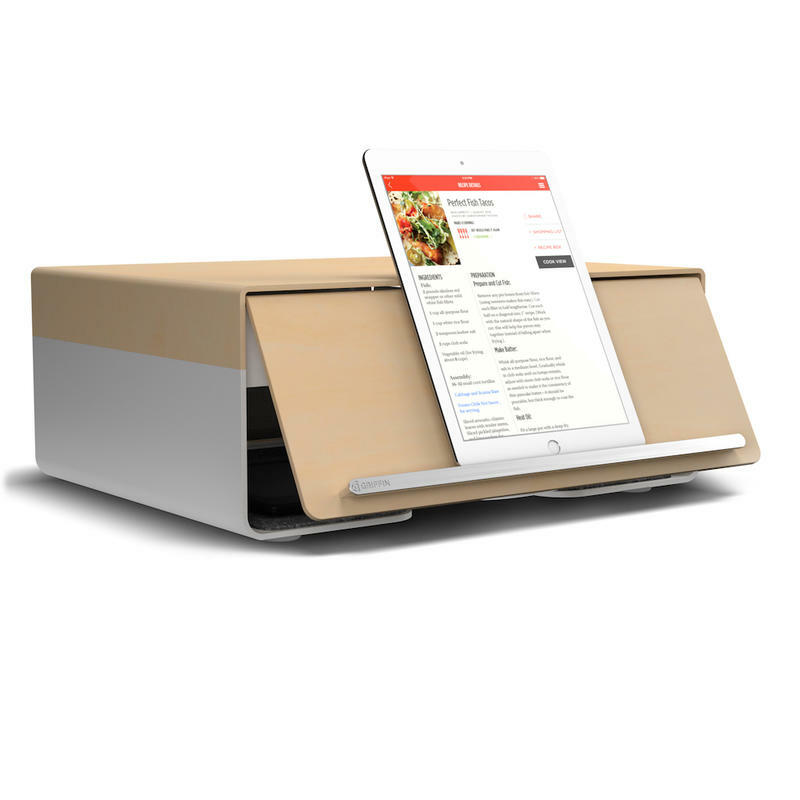 The Cove also has a door that hides all your gadgets and clutter when not in use, which also doubles as a stand, say for when you’re using a tablet for recipes on your kitchen counter or alarm clock next to your bed. But why Indiegogo? 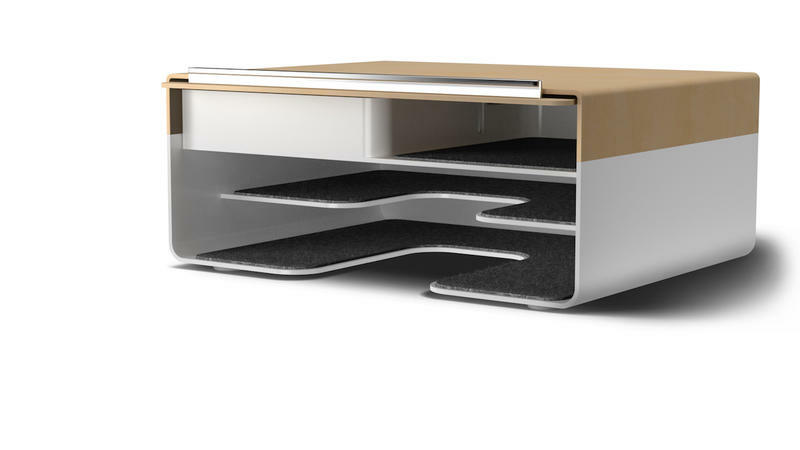 Griffin designed this product from the outset with crowdsourced ideas. By going to consumers directly, designers asked how they used their devices including questions like where they charged devices, where these devices lived when not in use, how many devices they had at home that needed to be plugged in. And so it is befitting to have a crowdsourced product be available first via crowdfunding. 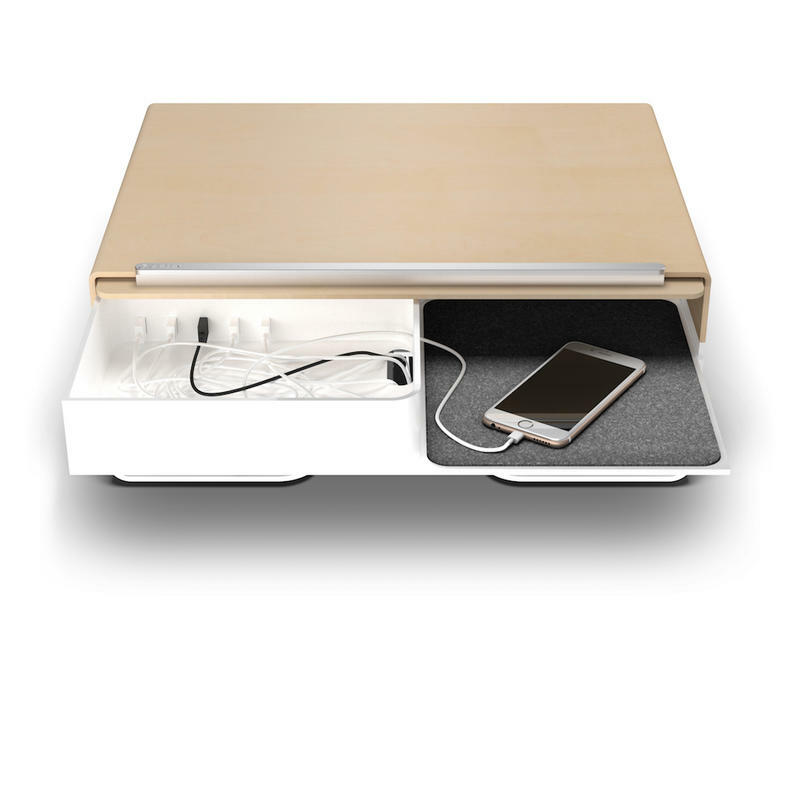 I have actually been on the prowl for a nice charging station that hides all the clutter and looks nice. The Cove fits the above criteria for me. Though I would like to maybe see one in a darker finish. Griffin has not yet put the Cove into production so maybe a darker finish model could still be a possibility? The first units are estimated for delivery December, however, you can snag $50 off for being one of the first 100 contributors. $5 Supporter promo code: Want to simply show your support? Contribute $5, and as our thanks, we’ll send you a promo code for $10, which you can use on any product on griffintechnology.com. Please allow until the campaign is funded to receive your code via email. Thank you so much for your support! Est. delivery May, 2015. $50 International Shipping: If you live outside the United States, you must add this perk to complete your order. Est. delivery December, 2015. $150 Early Adopters: First 100 contributors will receive the first 100 Cove units produced, and a special discount of $50 off. Est. delivery December, 2015. $200 Get Cove: Early Adopter perk sold out? Choose this perk to get Cove. We’ll ship all Indiegogo orders first. Est. delivery December, 2015. $225 Cove and Micro-USB Bundle: Get 5x 3ft micro-USB cables, and a Cove together. Perfect for the Android household. Get everything you need in one box. $200.00 + $49.95 = $249.95 value. Est. delivery December, 2015. $250 Cove and Lightning Bundle: Get 5x 2ft Lightning Cables and a Cove together. Perfect for the iOS household. Get everything you need in one box. $200.00 + $84.95 = $284.95 value. Est. delivery December, 2015. $4000 Cove VIP Gift: Get 2x iPad Air, 2x iPad mini, one Apple Watch, and one Cove to thoughtfully manage it all. We’ll package it with care and the result will be sure to impress. Est. delivery December, 2015.